JobsRadar is a company dedicated to providing a one-stop shop for jobseekers. JobsRadar creates and curates the best content for jobseekers by sourcing and organizing the best job openings in the United States, leveraging artificial intelligence to identify and match the best jobs with the best candidates. How does JobsRadar help me get a job? JobsRadar sources the best jobs from the Internet – over nine million of them! We use artificial intelligence technology to ensure that the jobs you find are the best matches for you. All jobs are aggregated and displayed in one place for the most convenient experience. We source the best career content (or create it ourselves! ), so you can stay one step ahead during your job search. Our content includes thousands of career videos, scholarship information for continued education, salary stats, recent news, and so much more. All of this information is accessible in our Cool Stuff section. Your JobsRadar profile is powered by Jobcase, which uses the power of the personal profile to get you hired. Jobcase lets you put your best self forward, which is why we use their profile technology. Jobcase.com is the only social media site dedicated to empowering America’s workforce. They do so by providing one place to manage all things job-related, as well as provide users a platform to leverage the knowledge and expertise of over 40 million other Jobcasers. Our partnership with them means that you can use their innovative functions - including the Jobcase one-click apply – for many of our jobs, making it that much easier to get hired faster. What’s more, your activity on JobsRadar can be easily accessed in the Jobcase.com portal. We are proud to be part of this network, as employers know that over one million people per day are on Jobcase – either through their own site, or on sites powered by them. Being part of that network allows us to let them focus on the technology – which allows us to focus on finding the best jobs for you! Can I ever have a JobsRadar account without having a Jobcase Profile? No, however, you don’t need to use Jobcase if you don’t want to. Jobcase powers JobsRadar, but as importantly is a valuable place for you to connect and collaborate with millions of other Jobcasers focused on advancing their work life. Can I keep a Jobcase profile but cancel my JobsRadar account? Yes, but you will make our staff cry if you do. Why are there so many education offers and ads on JobsRadar and other jobsites? There are two primary reasons why you may see these offers on a career site like JobsRadar. The first is that we, and others, want to keep our service free to you and advertising allows us to do that. The other reason why you’ll find educational advertisements on JobsRadar is because it REALLY is the best way for you to achieve success for you and your family. 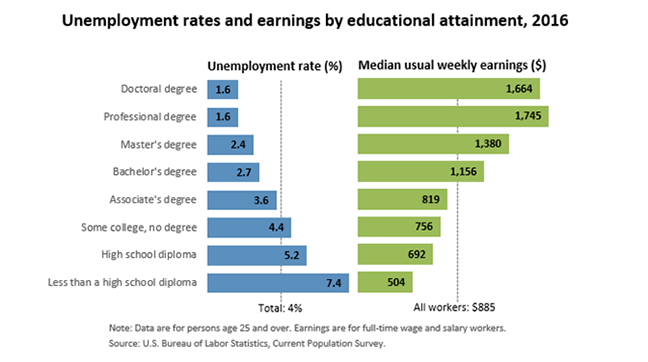 On average, you are more likely to be employed and earn a higher income if you continue your education. That’s why we believe our continuing education ads offer a strong value proposition to you. If you ever feel the ads are too much or that one of our customer service team members is not focused on what matters to you most, please email us ASAP at support@jobsradar.com. Our intent is to help you get a better job - fast. If we’re failing to achieve this goal, don’t hesitate to let us know. Can you send me job alerts and updates? Absolutely! This should be happening automatically. If you’re not getting job alerts and updates, click here to send us a message. But first, we suggest you look in your spam or junk folder to make sure your email provider didn’t make a mistake and put your messages in the wrong place. Can JobsRadar help me build my resume? Good news: Your Jobcase profile will automatically generate a resume for you! All you need to do is go to your profile on JobsRadar and edit it with your employment information. Being powered by Jobcase means you get all the functionality right here – and you can choose to access it on our site or at Jobcase.com. Better news: If you have an experience or educational background that leaves you nervous about how employers will view your work history, you can still get a strong resume from your Jobcase profile. Jobcase believes in looking at what you bring to the table as a whole. For example, maybe you lead a 100-person coffee meet-n-greet at church each week, or perhaps you volunteer with a local charity on weekends. A number of work-related skills can be demonstrated outside of traditional work settings, so don’t be afraid to get creative. What’s more, your Jobcase profile includes praises from other people who may have been involved in your volunteer activities, so employers can see what a great hire you can be! Can I keep my account but not get any JobsRadar email or phone services? To stop delivery of all JobsRadar emails, simply reply the last email you’ve received with "Unsubscribe" in the subject line. Please Note: You won’t get confirmation that you were unsubscribed because we can no longer email you once you’ve request this action. How do I cancel my JobsRadar account? If you want us to cancel your JobsRadar account, click here.